Around the year 610, Muhammad, a native of the thriving commercial center of Makkah, received a message from God (in Arabic, Allah) through the Angel Gabriel. As more revelations bid him to proclaim the oneness of God universally, the Prophet Muhammad’s following grew. In 622, learning of an assassination plot against him, the Prophet led his followers to the town of Yathrib, which was later named Madinat Al-Nabi (City of the Prophet) and now known simply as Madinah. This was the Hijrah, or migration, which marks the beginning of the Islamic calendar. Within the next few years, several battles took place between the followers of the Prophet Muhammad and the pagans of Makkah. By 628, when Madinah was entirely in the hands of the Muslims, the Prophet had unified the tribes so successfully that he and his followers reentered Makkah without bloodshed. Less than 100 years after the birth of Islam, the Islamic Empire extended from Spain to parts of India and China. Although the political centers of power had moved out of the Arabian Peninsula, trade flourished in the area. Also, a large number of pilgrims began regularly visiting the peninsula, with some settling in the two holy cities of Makkah and Madinah. These pilgrims facilitated the exchange of ideas and cultures between the people of the peninsula and other civilizations of the Arab and Muslim worlds. The emergence of Arabic as the language of international learning was another major factor in the cultural development of the Arabian Peninsula. The Muslim world became a center for learning and scientific advances during what is known as the “Golden Age.” Muslim scholars made major contributions in many fields, including medicine, biology, philosophy, astronomy, arts and literature. Many of the ideas and methods pioneered by Muslim scholars became the foundation of modern sciences. The Islamic Empire thrived well into the 17th century, when it broke up into smaller Muslim kingdoms. The Arabian Peninsula gradually entered a period of relative isolation, although Makkah and Madinah remained the spiritual heart of the Islamic world and continued to attract pilgrims from many countries. The legendary King Abdulaziz was a remarkable leader of imagination and vision who set Saudi Arabia on the road to modernization. During his rule, King Abdulaziz started building the country’s infrastructure. He established roads and basic communications systems, introduced modern technology, and improved education, health care and agriculture. Although King Abdulaziz never traveled beyond the Arab world, he was a highly sophisticated statesman. Foreign leaders and diplomats who met with him came away impressed by his integrity and honesty. He was famous for dispensing with diplomatic niceties in favor of frank and candid discussion. He was just as well known for keeping his promises, whether given to a simple Bedouin or to a world leader. These qualities enhanced his stature as a reliable and responsible leader dedicated to peace and justice. Abdulaziz’ eldest son Saud acceded to the throne upon his father’s death in 1953. He continued King Abdulaziz’s legacy, creating the Council of Ministers and establishing the Ministries of Health, Education and Commerce. One of King Saud’s greatest successes was the development of education – under his rule many schools were established in the Kingdom, including its first institute of higher education, King Saud University, in 1957. King Saud also made his mark globally. In 1957, he became the first Saudi monarch to visit the United States. In 1962 he sponsored an international Islamic conference that would become the Muslim World League, headquartered in Makkah. King Faisal bin Abdulaziz was a visionary innovator with a great respect for tradition. He initiated the first of a series of economic and social development plans that would transform Saudi Arabia’s infrastructure, especially industry, and set the Kingdom on a path of rapid growth. He also established the first public schools for girls. In foreign policy, King Faisal showed a firm commitment to the Islamic world. He was a central force behind the establishment in Jeddah in 1971 of the Organization of the Islamic Conference (OIC), a group of 56 Islamic countries that promotes Islamic unity and cooperation. Throughout the turbulent period of the 1960s and 1970s, which included two Arab-Israeli wars and the oil crisis of 1973, King Faisal was a voice for moderation, peace and stability. Khalid bin Abdulaziz succeeded King Faisal in 1975. King Khalid also emphasized development, and his reign was marked by an almost explosive growth in the country’s physical infrastructure. 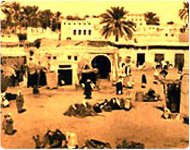 It was a period of enormous wealth and prosperity for Saudi Arabia. On the international stage, King Khalid was a prime mover in forming the Gulf Cooperation Council (GCC) in 1981, an organization that promotes economic and security cooperation among its six member countries: Bahrain, Kuwait, Oman, Qatar, the United Arab Emirates and Saudi Arabia. Under King Fahd bin Abdulaziz, who adopted the title Custodian of the Two Holy Mosques, Saudi Arabia continued its tremendous socioeconomic development and emerged as a leading political and economic force. King Fahd was central to Saudi Arabia’s efforts to diversify its economy and promote private enterprise and investment. He restructured the Saudi government and approved the first nationwide municipal elections, which took place in 2005. One of King Fahd’s greatest accomplishments in Saudi Arabia was a series of projects to expand the Kingdom’s facilities to accommodate the millions of pilgrims who come to the country each year. These projects involved major expansions of Islam’s two holiest sites, the Holy Mosque in Makkah and the Prophet’s Mosque in Madinah, as well as airports and ports. In the international arena, King Fahd worked actively to resolve regional and global crises. These crises included the Arab-Palestinian conflict, Iraq’s invasion of Kuwait, the Lebanese civil war in addition to conflicts in Bosnia-Herzegovina, Kosovo, Chechnya, Afghanistan, Somalia and Kashmir. As Crown Prince in 1981, he proposed an eight-point plan to resolve the Arab-Israeli conflict and give the Palestinians an independent state. The plan was considered one of the first attempts to find a just and lasting settlement that took into consideration the needs of both the Arabs and Israel. It was unanimously adopted by the Arab League at a summit in Fez, Morocco in 1982. King Fahd also dedicated years of diplomacy to resolving the civil war in Lebanon. He hosted a meeting of Lebanese members of parliament in Taif, Saudi Arabia in 1989. The meeting resulted in a national reconciliation accord signed in Taif that ended the fighting and opened the way for reconstruction with help from Saudi Arabia and other Arab countries. Perhaps the greatest international crisis of King Fahd’s rule occurred when Iraq invaded Kuwait on August 2, 1990. The King played a key role in putting together the international coalition that drove Iraqi forces out of Kuwait. King Fahd was also concerned with humanitarian issues. Under his rule, Saudi Arabia provided emergency humanitarian assistance to numerous countries, including Somalia, Bosnia and Afghanistan, as well as countries suffering from natural disasters, such as earthquakes (Turkey in 1999, Iran in 2003) and the tsunami that struck Southeast Asia in December 2004. 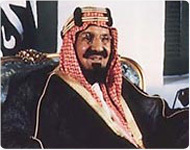 Custodian of the Two Holy Mosques King Abdullah bin Abdulaziz acceded to the throne after the death of King Fahd on August 1, 2005. 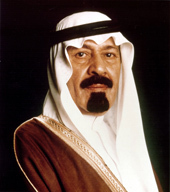 King Abdullah was born in Riyadh in 1924, and received his early education at the royal court. Influenced by his father King Abdulaziz, he developed a profound respect for religion, history and Arab heritage. His years spent living in the desert with Bedouin tribes taught him their values of honor, simplicity, generosity and bravery, and instilled in him the desire to assist in the development of his people. As Crown Prince, he traveled widely in the Kingdom and inaugurated a number of projects throughout the country. In 2005 he closely monitored the election process for the country’s municipal councils. The Prince’s first official visit to the United States was in 1976 when he met with President Gerald Ford. Since then, he has made a number of visits to the United States, including his most recent on June 29, 2010 when he met with President Barak Obama at the White House. His international diplomacy reflects Saudi Arabia’s leadership role in defense of Arab and Islamic issues and for the achievement of world peace, stability and security. Peace in the Middle East and the plight of the Palestinians are of particular concern to King Abdullah. His proposal for a comprehensive Arab-Israeli peace, presented at the Beirut Arab Summit in 2002, has been adopted by the League of Arab States and is known as the Arab Peace Initiative. King Abdullah has been unwavering in his condemnation of terrorism. At the International Counterterrorism Conference in Riyadh in February, 2005, he called for greater international cooperation to fight this global problem. 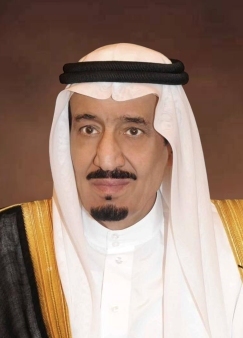 His Royal Highness Prince Salman bin Abdulaziz was designated Crown Prince of the Kingdom of Saudi Arabia, and appointed Deputy Prime Minister, by Custodian of the Two Holy Mosques King Abdullah bin Abdulaziz on June 18, 2012, upon the death of Crown Prince Nayef bin Abdulaziz. Crown Prince Salman also serves as Minister of Defense.